Description: High performance in all situations. T3x Compact tactical rifle is a multipurpose rifle that adapts to any given situation. The Tikka T3x Compact Tactical Rifle features a 10-round steel magazine and comes standard with vertical angled grip for prone shooting. 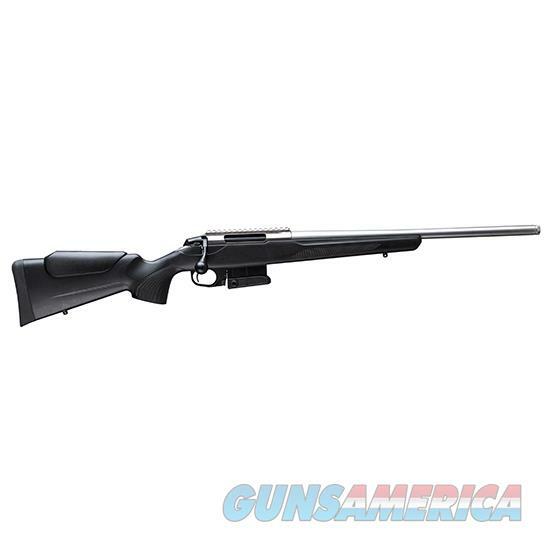 - Stock Material: Synthetic - Caliber: 6.5 Creedmoor - Magazine Capacity: 10rds - Finishing: Stainless Steel - Trigger Group: Standard - Barrel Length: 20***Please allow up to 5 days handling time for this particular firearm.